There are warnings that stock is in very limited quantities including the Splatoon Figures, Silver Mario and even Pac-Man. The Amiibo Collection Craze is at an all-time high as nintendo fans will literally rob their grandmother’s jewelry box to pay extortionate amounts of money on these plastic figurines. it is quite possibly the biggest craze we have seen since the Pokemon Trading Card Era. Wave four is now available in North America with Wave 5 approaching after Summer, the suspense to possess your favourite characters is now even greater as the limited supply means even more competition to possess them. 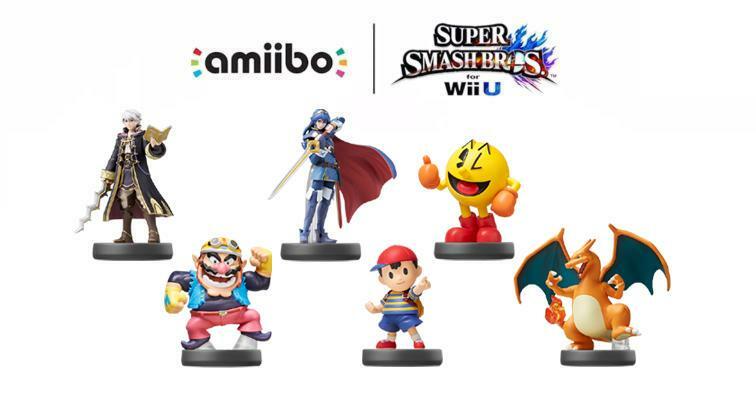 Amazon has the Wave 4 Amiibo available as we speak in 30 minute intervals, make sure you are ready and that your bank credit is ample. Starting today at 2pm Pacific time, Amazon will open one Amiibo-per-customer buy listing every 30 minutes until all nine of this wave have gone live. First up is the Pac-Man Amiibo in the Smash Bros.Amiibo series, that will surely be quite popular, what with the Nintendo-Namco crossover appeal. The rest of the amiibo will follow suit and will include all of Splatoon figurines (which will apparently unlock some “challenge” modes depending on the figurine), The silver-coated Mario will be after, Lucina and Robin from the Fire Emblem series, Mario’s long time nemesis and evil twin Wario, and last but definitely not least is the long awaited favorite of the pokemon series; Charizard.